Do you know who your Spirit Guides are? Maybe you know your guides, but wish you had a stronger, more connected association with your guides. If you are on your path of psychic or medium development, then your relationship with your spirit guides is a very important one. 1. Who are your guides? Each week get one instructional video presentation and a guided audio meditation or pdf content sent to your email each week. PLUS, each Thursday sit in a closed Facebook presentation just for course participants. Go to: www.melissaleath.com/doorway.html for details. The course is the whole month of June 2014. Week 1. Who are your guides? Week 2. Making first contact. Week 3. Are you sure? • Each week receive (a.) an instructional video presentation, plus (b.) a guided audio meditation and/or pdf content sent to your email. Take your time and watch the video when it is convenient for you. • Each Thursday sit in an interactive Facebook presentation (on a Secret Page) just for course participants. When: The course is available the whole month of June 2014. Don’t wait too long, attendees are already registering! 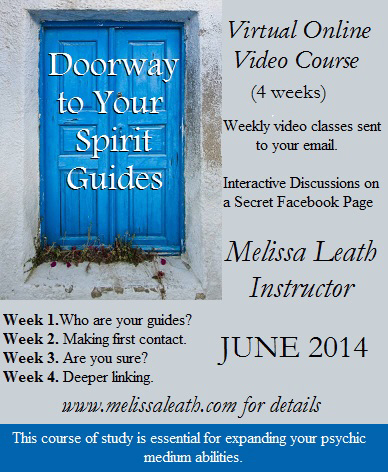 Go to: www.melissaleath.com/doorway.html for details. This is a really interesting article and full of great spiritual information. Concerning earthbounds and ghosts, as well as repeating energies that are confused with hauntings. Must read. When you are getting ready to talk to a psychic advisor, there are some important things that you need to keep in mind. These are designed to help ensure that you receive the maximum benefit from your reading. Very good advice here about getting a psychic reading. This whole phenomenon of Indigo Children is becoming more familiar to society. Many other things dealing with the paranormal is coming to the surface. Many children and young adults are showing more abilities to understand, and exhibit psychic and mediumistic tendencies. I can remember early on in my private readings, being told by my spirit guides about “blue-ray” babies, which I think was a similar meaning to indigo. 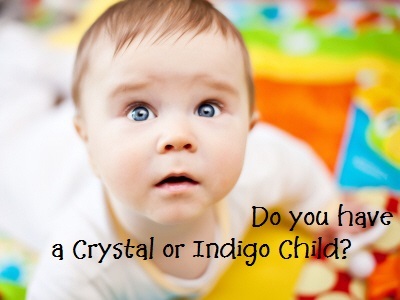 These children, known as indigos or crystal children, are usually highly empathic and don’t know how to deal with it. They are introducing the change that is springing forth even now. Those of us who are in the paranormal and metaphysical fields are here to be guides for the way-showers, and help them keep grounded. Then they are able to assist us in the transformation of the world. I believe the kids that see sparkles fall into this group of indigos and crystal children. And we must do much more to be of assistance. The term “indigo children” came about when parapsychologist and psychic, Nancy Ann Tappe developed the concept in the 1970s. Tappe published the book Understanding Your Life Through Color in 1982. She described noticing that many children were being born in the 1960s with “indigo” auras. The idea was revolutionized by the 1998 book The Indigo Children: The New Kids Have Arrived, written by Lee Carroll and Jan Tober. Their book became the primary source on “indigo children”. They describe the goal of indigo children to be a remaking of the world into one lacking war, trash and processed food. Indigo children are believed to be empathetic, curious, strong-willed, and independent. They sometimes possess a clear sense of meaning and purpose. Other traits may include a high intelligence quotient, an innate intuitive ability, and opposition to authority. According to Tober and Carroll, indigo children function poorly in conventional schools and often do better in home schooling or unconventional educational settings. As the universe started speeding up, and the world needed more assistance in shifting and changing into higher frequencies, the type of child birthing on Earth started to become more refined and focused. Many children who were born in the late 1990s are a blend of being telepathic and intuitive. They have a pure energy field, which is sometimes called crystalline, or crystal-like. Since they have such intense abilities, they are able to communicate with one another very easily. Conversely, communicating with adults – especially parents – they can be easily misunderstood. They are more advanced spiritually, and because of that some of them delay talking until they are three or four years old. Unfortunately, I have heard of some in this case being diagnosed as autistic. Sound is usually significant to Crystal children. So, some children may communicate by singing, humming, or droning without using regular words. They may also use their own form of sign language. They are very aware of truth since they are mind-conscious, so you must always be truthful with your crystal child to encourage trust. All kids are psychic. Remember that kids are kids no matter what. Support them, love them, and encourage them. Here is a list of observations that might help you recognize children with special gifts. Your child may be perceiving life differently that established society dictates are correct. Not all these abilities will show up with your child. There may only be one or two. But they are things you should be aware of to watch for, and understand if your child talks about it. (one of the emails to this blog about Sparkles): My name is Martin and I am 18 years old. I’ve been seeing sparkles for a very long time. I see them all the time: When my eyes are open, closed, at night, during the day, even when I dream. The sparkles seem to communicate something through the dream – usually something that is beyond my understanding. I don’t feel like they are harmful. I’m sharing this because people are curious about other kids. I’ve lived and slept and thought and breathed with this eternal aura surrounding me, fading, shifting, lighting up and sparkling for a really long time. It’s a true part of me and no one has ever had any clue of what I’m talking about. When I try to describe it they don’t believe me. I feel in my heart of hearts is that each dot, glitter, is a universe that unknowingly observes and weaves itself in and around others: Like whole realities that float through and reappear throughout an infinite cosmos of realities, uncountable, but always flowing. But I’m only 18. I’m trying my best to understand these better, but it does get overwhelmingly complex at times. I hope this was helpful for anyone who reads it. Thanks. The excerpt is taken from Does Your Child See Sparkles? 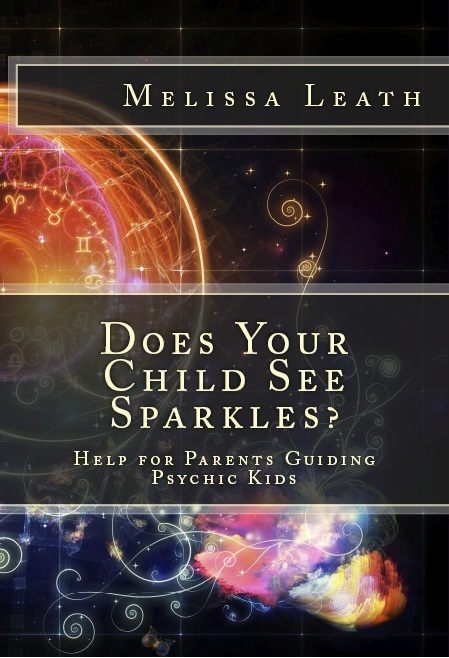 Help for Parents Guiding Psychic Kids, by Melissa Leath. 5 Reasons You Didn’t Get a Good Psychic Reading (and what to do about it). Have you ever had a psychic reading that just seems to be opposite from what makes sense to you? Did the psychic say things that came from out of left field? Were the names of in-spirit loved ones the medium gave you all wrong? I think everyone who has ever gone to a reader, has had a reading that just did not “fit”. 1) Psychic Readers and Mediums are human. Sometimes readers just have a bad day, and nothing “comes in” psychically, or their energy is low. They may be receiving information, but do not realize it is not on mark. If you recognize this (especially if you have had a good session with this reader before), then say so. Let the reader know that you don’t feel the reading is going well, and suggest you reschedule the session for another time. If your reader has integrity, they will probably recognize it and agree with you. .
2) If there was a friend with you during the reading. Your reader might be fine with your friend being there. But sometimes the friend will be a very high-energy person. And it can be difficult to separate the energies. Also, you might really want to have a PRIVATE session, but do not know how to say it. This could create conflicting vibrations. (I always ask the client what they want, “It is up to you if your friend sits in.”) It’s always best to go to your reading independently. If you wish to share the information received later, that is up to you. 3) Your energy might be flowing in an opposite direction at the time (upset, angry, depressed, etc.) You have a responsibility to come to your reading in a positive and relaxed mood. It is very difficult to read someone if they are angry and upset about something. Spend some time meditating or releasing the stresses in your life before you go. You might also ask your reader to lead you through a quick relaxation meditation as part of the session. 4) The reader might not be legitimate. I know it’s hard to believe, but some readers are not really psychic or mediums. They might think so, but they are not well trained in the appropriate way to receive information. They could be getting their information from a very low spirit. Or they might be giving you a scammed reading. If you suspect this, don’t wait until it is over. Do not let them mess around with your vibrations. After 5-10 minutes, you should realize that the session is not going well, or that you have a bad feeling with the reader. Stop the session. Stand up and say you are canceling the reading and will not continue. If you have already paid for it, ask for your money back. Do not apologize (cause it is not your fault). Then leave. 5) The reader can only connect with your energy if you are willing to be open. If you are not really ready to receive what a psychic or medium has to say, then it is not a good time to have a reading. In other words, if you do not want to know the answer, then do not ask the question! Also, do not assume what the answer is. Be open to the idea that the universe might have something better for you. Lastly, know that you are in charge of your own body-mind-spirit. Pay attention to your own intuition. You know best for yourself. And when you go to a reader (psychic or medium) whatever is given to you should only be used as information to base your decisions. Your life is in your hands — no one else’s. Do not go to readers so that they can tell you what to do. Do not give your power away like that. Is there a Vampire Among Your nearest & Dearest? A Psychic Vampire, that is. This article on energy vampires is one that I thought was great. I need to be reminded of them as often as the next person. Besides the list given here, let me add one item: people who are energy vampires will call their “friends” and stay on the phone giving them all the minute details of their misfortunes, asking for counsel and assistance, sometimes making the friend feel responsible or required to help them deal with it all. Then, as it becomes the friends turn to talk, the vamp will be done and need to hang up. We’ve all heard about mesmerising, immortal humans that turn into bats, and drool over our necks, but how many of us, are aware that our inner circle could contain someone just as invasive, only it’s not our blood they crave, just our energy. They aren’t frightened of the sun or garlic, and approach them with a wooden stake, and they’ll only ask about your garden. Don’t expect them to hang out in cemeteries, and believe me, threatening them with ‘Buffy’ will have no effect, and yet they can be considered as much a predator as their more mythical brethren. Unfortunately, this ‘energy stealer’ can be a friend, a colleague, or a loved one and in their defence they may not even know what they’re doing, it can be a totally unconscious action, even a character trait that they’re not aware they have. 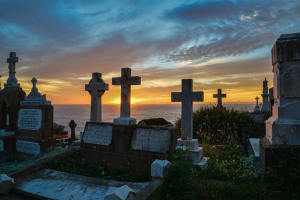 That is because the Long Island Medium herself, Theresa Caputo, has an amazing ability to connect strangers with their loved ones who have passed away. It s long been disputed whether Theresa Caputo is legit or fake. But my thoughts go a little deeper.~~ Does she invade a person’s energy field uninvited? YES. That makes what she does as being reckless, intrusive and inconsiderate, to say the least. No one has the right to pry in someone else’s personal space. As she prepares for a show, does she talk to the person ahead of time, and let them know what she plans on doing? Or, does she just barge into their space, dig in their aura, and extract spirit entities? We probably will never know for sure. But I’ll tell you one thing: she better never come near me!